At Pilsen, we offer high performance CNC machine tools with high rigidity, feed rates and spindle speeds to provide our customers with competitive machining advantages. 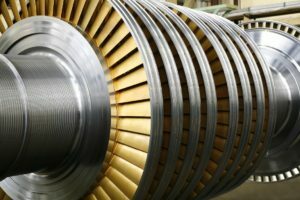 Whether turning exotic alloys or high speed machining of non-ferrous materials, we specialize in large machines designed to tackle a wide range of metallurgies. With our 4 and 5-axis high speed machining solutions, fewer setups reduce part cycle time with less manual finishing that leads to part inconsistencies. 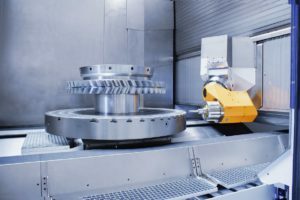 Machining these materials involves selecting the right equipment, with the right partner who can customize, deploy and support your manufacturing and purchasing strategies. With Pilsen, you’ll not only invest in a reliable machine that produces parts for years and you’ll receive the support and training to help you work at peak efficiency. Pilsen offers a competitive edge to your machining operation by providing equipment with high-speed machining capabilities. Our lines include options for high spindle speeds and high feed rates, with high-capacity coolant and chip handling systems. High speed machining increases metal removal rates to shorten part cycle times and produces finer, more accurate finishes with reduced tool deflection and wear. We bring the training and expertise to support your shop floor staff in the high-speed machining process. Pilsen has the right machining solution for your unique applications. Please use the online request form below to tell us about your machining requirements.